blueberries of a more consistent quality. located to supply the international demand. South Africa’s berry farmers, recognised internationally for producing some of the best quality berries in the world, have joined forces to establish a new organisation that will represent their interests. The South African Berry Producers Association (SABPA) is the berry sector’s first successful attempt to coordinate the various activities of the industry. “The industry decided to work together to achieve more and solve its common challenges,” says Trevor McKenzie, chairperson of the SABPA. McKenzie says that the association can play a major role in growing the local berry industry, promoting South Africa’s reputation as a top berry producer and increasing the sale and consumption of this high-end fruit. The South African berry industry is considered one of the smaller fruit sectors in the country, yet it is very successful. Berries are considered to be high-value crops, and since the many health benefits of berries have become more widely publicised, worldwide the demand for berries is growing. 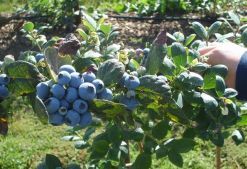 The new association is inviting membership to growers of perennial berries such as blueberries, raspberries and blackberries. McKenzie explains that although strawberries and gooseberries are also classified as berries, they are annual crops. The Industrial Development Corporation, which has been a driving force in developing the berry sector in recent years by funding various projects across the country, encouraged the establishment of the new industry association. Industry representation in the form of the SABPA will ensure that the industry remains sustainable and economically viable and establishes uniform grading regulations for berries produced in South Africa. The association will also facilitate research, exchange industry information between local and international berry groups, look at ways to promote sales and consumption of berries locally and internationally, and liaise with government about issues affecting the industry. “From a grower point of view, the registration of chemicals is a big challenge because the industry is small,” McKenzie says. Many chemical companies are reluctant to register certain chemicals as it is not economically viable. With the help of the South African Pesticide Initiative Programme (SAPIP), some of the major berry companies such as Eurafruit and Haygrove have been leading various initiatives to register chemicals for the industry. Advertising and marketing of berries are also a major focus of the industry. “We are doing a lot of work in the form of in-store promotions and tastings to increase the number of people who eat berries, and so far the industry’s efforts are proving successful,” he says. The marketing of berries’ health benefits is also helping increase local consumption. South Africa has the advantage of counter-cyclical seasonality to the northern hemisphere markets. Local berries are in demand, particularly during the northern hemisphere winter when the market has a gap for southern hemisphere fruit. There are approximately 40 to 50 berry growers across the country, of which 12 to 15 are responsible for 98% of fresh production. The majority of South Africa’s blueberries and raspberries are exported to Europe and the UK, and the industry is also looking to increase its exports to new markets. The industry has also noted an increase in annual exports. A few years ago, only a few hundred tons of blueberries and raspberries were harvested, but McKenzie says that in 2011 about 1 000 tons of both berry types will be exported. Blackberries are produced mainly for local consumption. He explains that the reason for this is that South Africa does not grow blackberry varieties that can withstand the export process. However, this is changing. “Blackberry growers are in the process of planting new varieties which will hopefully make it possible to export blackberries in the future,” he adds. South Africa’s main competitor for blueberries is Argentina, but McKenzie says that South African producers are becoming known for their ability to deliver berries of a more consistent quality. This is strengthening South Africa’s reputation as a top blueberry producer, which is helping increase the country’s market share, particularly in the UK. Sean Tager, managing director of Haygrove Heaven, a berry production company, says South Africa produces a good quality raspberry that is in demand in high-end retailers overseas. “South Africa has been building a good reputation for its raspberries,” Tager says. South Africa’s main competitors in the raspberry market are Spain, Portugal, Morocco and Mexico. 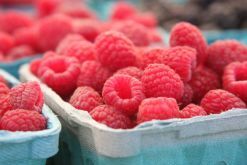 Lead time to the market is critical for a highly perishable product such as raspberries, and South Africa is ideally located to supply the international demand. Other competitor countries rely on overland trucking to transport berries, but the South African product is transported directly to the market on overnight flights. Membership of the association would be limited to producers and both annual membership fees and a levy will be charged based on the area under production to fund various projects identified as high priorities for the berry industry.